Start the New Year Off by Fixing That Old Car! What’s your holiday wish this year? If it’s to have a like-new car again, U Wrench It can make your wish come true. Don’t keep settling for a car that isn’t reliable. 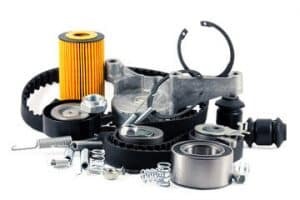 This New Year, get your car, truck, or SUV running like new with our massive selection of used auto parts for just about every make and model still on the road. Our Norcross auto parts shop allows the avid DIYer to get the parts they need and save huge on mechanic bills. We’re also Norcross’s home for restorers and mechanics. Our parts are guaranteed to have been machined to the highest standard and sold at affordable prices! Check our inventory to find your part today! Whether you’re looking for a hard-to-find part for your classic convertible or you’re ready to start thinking about buying something new, we can help. We all want to start the new year off right, but when you don’t have a car you can trust, chances are, you’re not going to get too far. We buy cars in any condition. From junkers to barely used, we’ll take it. And when you get rid of the vehicle that’s currently weighing you down, it’ll open the door for you to get a sweet new ride. Come into U Wrench It off of Buford Highway in Norcross, GA today! We can help you find the parts you’re looking for to make your car feel like new again. Start 2018 off on the right foot and stop by or give us a call today!